After I took photos of Ume blossoms at Bairin-zaka slope, I moved to an area in the East gardens named "Ninomaru garden". There is a beautiful architecture at bottom of the garden. 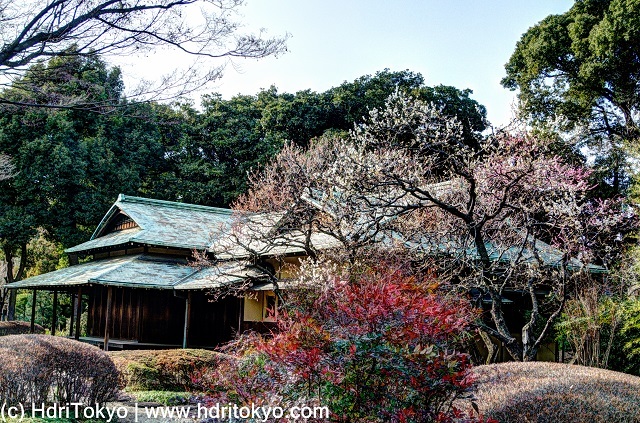 In early spring(late winter), white and pink Ume blossoms are blooming by it.